Listening to the needs and concerns of unpaid caregivers is a fundamental part of all the work we do at Caregivers Nova Scotia. We hear how difficult it is to find programs, services, and information relevant to the issues caregivers face every day. They often tell us that they feel alone and are unsure where to turn. 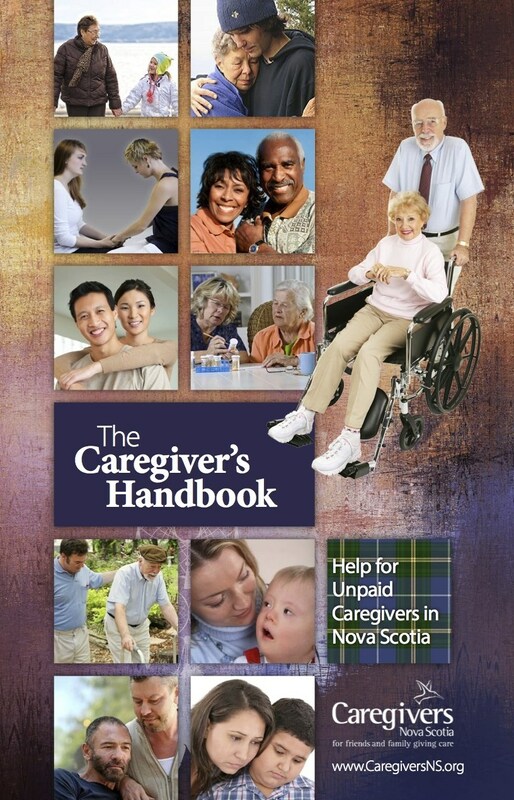 This updated edition of The Caregiver's Handbook was made possible by valuable feedback from our caregivers, our staff (who all have caregiving experience), our community partners, and by funding from both the Nova Scotia Cancer Care Program and the Department of Health and Wellness, Continuing Care Branch. It is filled with more tools, tips, and resources intended to support you, the caregiver. We hope this resource will enhance the rewarding aspects of caregiving by helping you to manage some of its challenges and demands. Click HERE to download the complete version for free. Blank templates of charts, checklists, and plans can also be found here. 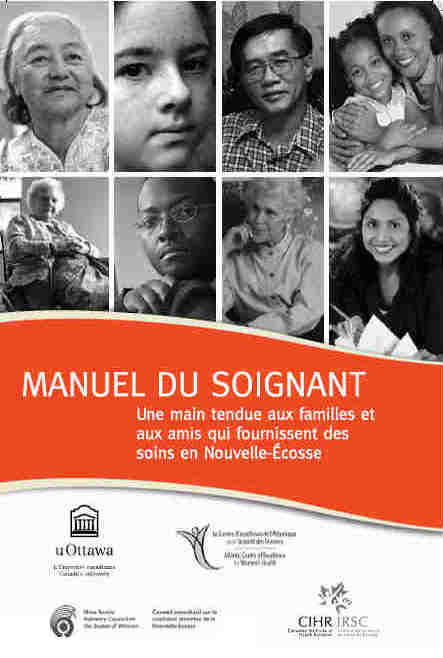 If you are a caregiver, simply contact us to request a copy and we will be happy to mail it to you. If your organization provides healthcare or other services and you would like multiple copies, please call us so we can discuss your needs in more detail. Nous avons d'autres resources en français. Cliquez sur l'onglet "français" dans le haut de la page.